First and Second degree in Computer Science at the Technion. Participated in the Technion Excellence Program: October 1998 – July 2001. Anna included advanced courses starting from her third semester, without taking preliminary courses needed for them. Her Master Degree was under the supervision of Prof. Nissim Francez from the Computer Science faculty majoring in Computational Linguistics. Thesis subject: "A Natural Logic inference system using the Lambek calculus". She published 3 papers, one of them in the Journal of Logic and Language. Her Ph.D in Logic and its applications in AI was under the supervision of Prof. Arnon Avron from the TAU. Thesis subject: "Non-deterministic matrices and their applications in Logic and Computer Science". 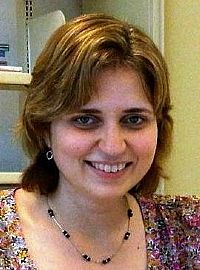 Today (2012): Anna is a Marie Curie Postdoctoral Fellow at Vienna University of Technology, working in the Computational Logic Group. Recommendation to Program participants: "The Program opens doors for many opportunities and serves as a social framework for people interested in different research fields to meet, communicate and exchange ideas. The program is a great opportunity to expand one’s horizons and study in a stimulating and inspiring environment".